In a microwave safe dish, heat cream cheese 1 minute at a time stirring after each until smooth. then add sour cream and Asiago cheese stir to combine. Again heat in microwave until same as before until creamy and Asiago cheese has melted. Add beer a little at a time stirring until combined, then add spices mix to combine. 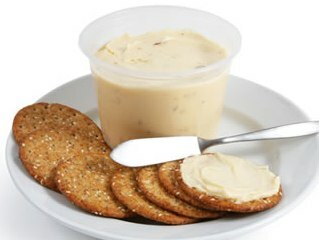 Serve warm or cold, good on crackers or with pretzels. Here is a Great Beer Cheese Dip/Spread that I posted 2 years ago, it would be a Quick, Easy and Great addition to your NCAA March Madness Final Game Party tonight!!! Enjoy the recipe for any party!! !